Scroll down to learn about Sponsorship Opportunities and benefits. 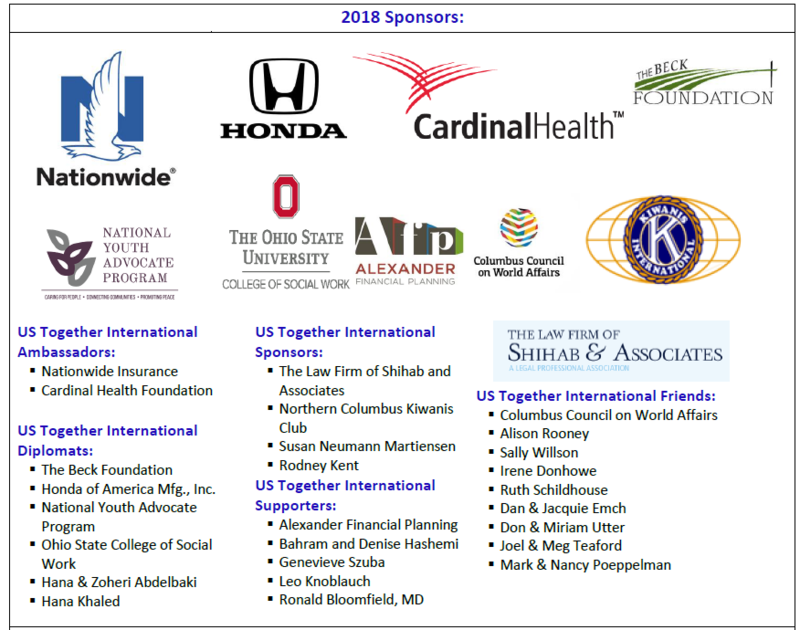 Join The Columbus International Program Today and…. Promote Economic Development which benefits your local community. Support Intercultural Exchange which builds relationships and creates global awareness and understanding. Ensure the continuance of our J-1 Training VISA which provides for cross training programs in the Central Ohio area. Provide temporary housing as a Host Family for an international guest which provides life-long relationships. Become a Change Agent that provides a service to create a better world for future generations and global impact.